Veterinarians estimate as much as 20 percent of all dogs suffer from ear infections at some point in their lives. Canine ears come in all shapes and sizes, from Doberman-cropped to outside wooly or hairy inside such as poodles. 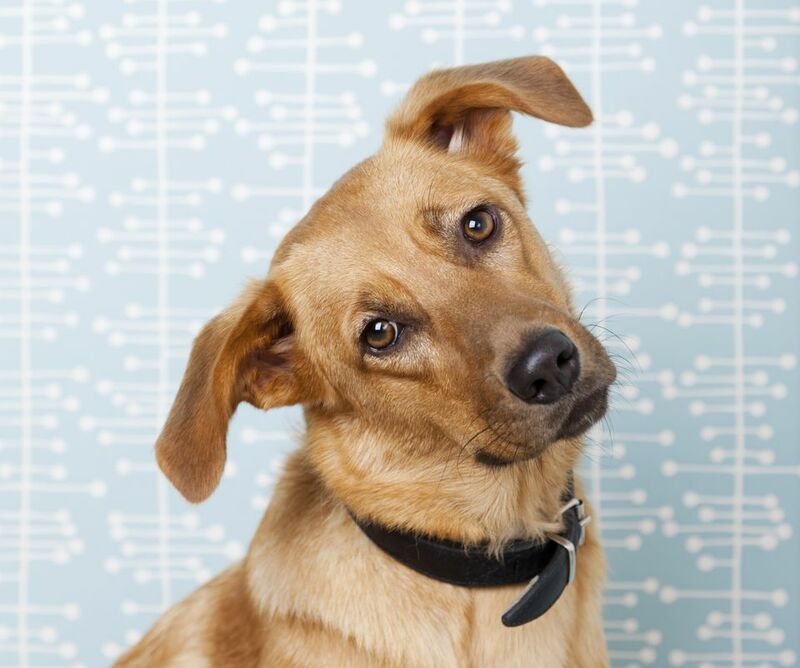 Despite the outside look, the ear structure and how dogs hear is quite similar in all breeds. What Is a Canine Ear Infection? Ear infections or other ear problems usually involve inflammation of the ear canal. It causes extreme discomfort and in some cases can damage your pet’s hearing. Puppy ear canals are shaped like an L and easily trap moisture or foreign material like grass seeds in the canal. That creates the perfect place for bacteria, fungi, and ear mites to settle and cause problems. Constant head shaking can bruise the earflap and create a hematoma. When that happens it can swell up like a giant blood blister, ballooning the skin with blood and serum. That takes surgery to correct. Yeast infections turn the dog's ear hot, red, and “goopy.” This type of infection often smells rancid. A thick, dark, or waxy discharge characterized by a distinctive musty odor is a sign of yeast or fungal infection. Bacterial infections cause a nasty light brown, yellow, green, or bloody discharge. Such infections are pretty common in dogs. An acute bacterial infection is often due to the staphylococci organism and the discharge will be light brown. Chronic bacterial infections may be caused by the proteus organism and will typically result in a yellow discharge. Finally, they may be caused by Pseudomonas organism which is characterized by a soupy black discharge. A buildup of oily yellow wax may be an indicator of ceruminous otitis, which is a sign of seborrhea or hypothyroidism. Ear mites can coat the inside of the ear with a black to brown, sticky or crumbly discharge. The tiny bugs live inside and bite the flesh of the ear canal. The mites can drive pets to distraction with the resulting itch. Ear mites easily spread from cat to dog (and back again). If one of your pets has a case of the bugs, you’ll need to treat the rest of the furry crew as well. Puppies with floppy or hairy ears like cocker spaniels and poodles have the most problems because their ears don’t air out as well as the upright ears of dogs such as German shepherds. During the summer months, water-loving Labradors or other water pups can develop chronic “swimmer’s ear” if you don’t take precautions. The best bet if you suspect an ear infection is to bring your dog to the vet's office for an exam. Putting the wrong medicine in your pet’s ears could make the problem worse or even damage a dog's hearing. Severe infections with painful ears may require dogs to be sedated so a thorough cleaning can be done. Chronic infections can be tough to cure, and you may need to treat twice a day for several weeks. Sometimes pets need antibiotic pills, too, for as much as six to eight weeks. Many over-the-counter products are available for treating ear mites. Only use them once the ear mites been diagnosed and at your vet's suggestion. Prescription products from the veterinarian tend to contain ingredients that not only kill the mites but also soothe the sore ears. Some heartworm or flea prevention products also protect pets against ear mites. Dogs with fur growing inside their ears (such as poodles, cockers, and Lhasa apsos) should have the fur periodically plucked out to increase air circulation and prevent infections. Ask your groomer or veterinarian to demonstrate so that you or a professional can maintain good ear grooming care. A “swimmer’s solution” can help protect water-loving pups by drying out their healthy ears after a swim. Mix 1 cup of water with 2 cups vinegar, and 1 tablespoon rubbing alcohol. Spray the outside of the ear canal once or twice a week and after every swim or bath. That normalizes the natural balance of the ear to prevent infection. Puppies with floppy furry ears greatly benefit from a weekly “airing out.” Fold your pup’s ears on top of his head and secure the ends with a stretchy bandage that keeps them in place, but won’t pull fur. Or, you can use clothespins to clip the furry ends of cocker spaniel ears together. Make sure you only clip the fur! Then distract the dog with a toy or treats, so its ears air out for 30 to 40 minutes or so.